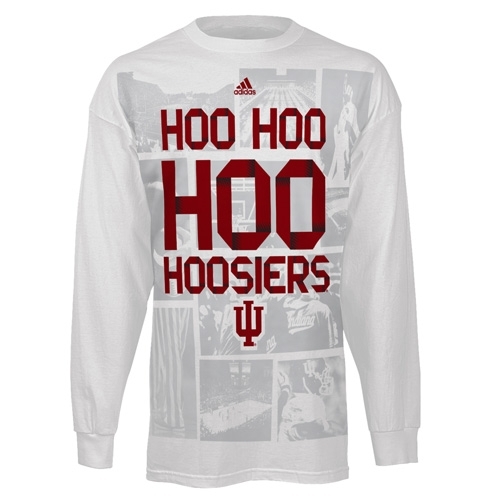 Here's a must for any die hard Hoosiers fan. This Adidas Long sleeve t-shirt with the sublimated team and venue photos screen-printed on the front. 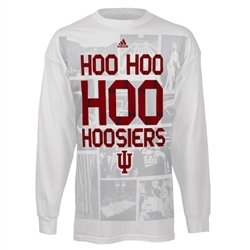 Indiana Hoosiers Anthem T-Shirt has a bold, over-sized 'Hoo Hoo Hoo Hoosiers' graphic and team logo screen-printed on your chest. Adult sizing in 100% cotton.